There are five separate investigations into the Aug. 6 Chevron refinery fire, but if Monday’s meeting was any indication, many Richmond residents doubt even that will be enough. Simply keeping track of which agencies are involved in what is a task. Four of the five investigations are being conducted by government agencies – the EPA, the Bay Area Air Quality Management District, Cal/OSHA and the United States Chemical Safety Board. The fifth will be conducted by Chevron itself, which is required to conduct a “root causes analysis” under the county’s Industrial Safety Ordinance. Three of the investigating agencies have the power to prosecute violations or collect fines – the EPA, the air district and Cal/OSHA — and all three said they intend to use those powers. The EPA will prosecute to the fullest extent possible if it finds that Chevron violated the law, said Dan Meer, the assistant director of the EPA’s Region 9 Superfund Division. “They have good lawyers,” Meer said, adding that the agency would, if necessary, “go mano a mano” with them. Cal/OSHA did not attend the meeting, but sent a statement saying it would assess financial penalties if its investigation turned up violations at the refinery. The federal Chemical Safety Board, by contrast, is not a regulatory agency, and cannot issue penalties, said Dan Tillema, the CSB’s lead investigator on the refinery fire. Instead, the CSB’s mission is to investigate accidents and prevent their recurrence. Tillema promised transparency and a “holistic” investigation, looking at everything from past incidents and the mechanical integrity of the crude unit to the refinery’s safety culture and management. For many in the audience, these promises seemed to ring hollow. Speakers argued that past incidents and investigations had not delivered change. 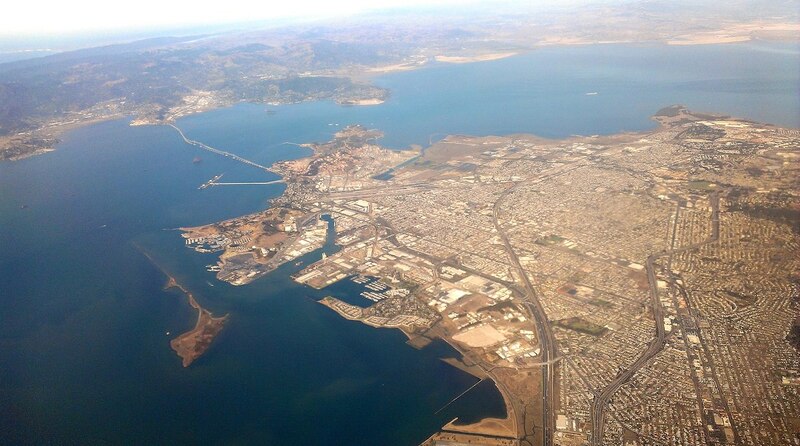 In particular, residents assailed the Bay Area Air Quality Management District, which is responsible for regulating air pollution from the refinery. Jack Broadbent, CEO of the air district, promised the agency would review its own performance as well as Chevron’s. “We’re going to take this opportunity to beef up the monitoring,” he said. No one from Chevron spoke at the meeting, though the refinery had representatives in the audience. At least one local priority was addressed. During her remarks, Mayor Gayle McLaughlin asked the agencies whether the investigation would look into the refinery’s “crude slate” – essentially, the mix of crude oils that the refinery takes in. Community and environmental groups, led by Communities for a Better Environment, have pushed investigators to consider the impact of Chevron’s shift, over the last decade, to crude oil with a slightly higher sulfur content. Sulfur is more corrosive and might have contributed to the pipe leak that sparked the fire, said Greg Karras, a senior scientist at CBE. The air district, EPA and CSB all said sulfur content would be included in their investigations. “I don’t think they came here to talk down to us and be yelled at – that wasn’t the intention,” Karras said.